Day: February 16, 2019 - Legend Fence Corp. Wooden fences are one of the least expensive ways of bordering your property, although they do require more maintenance than a metal or vinyl fence. 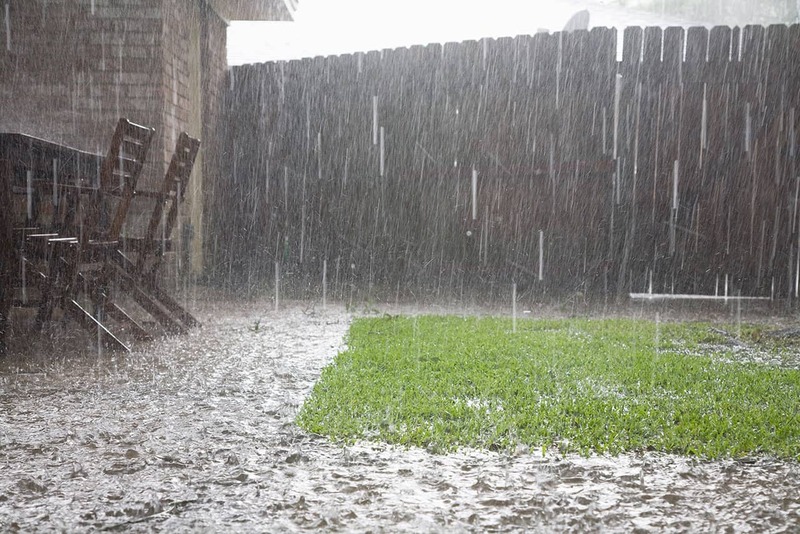 While San Diego weather is usually warm and dry, the addition of rain does have a big impact on the lifespan of a wooden fence. If a wooden fence isn’t cared for properly, it can deteriorate in a matter of years. Here at Legend Fence Corp, we know how important it is to keep a wooden fence looking pristine, so we’ve written this guide to help you protect your wooden fence from San Diego sun and rain. The best method of protecting a fence from both rain and sun is to use preserving paint or stain. Many of these products are designed specifically for wooden fences, and there are different products for different jobs. Many standard fence paints will protect from rain, but if you want one that also prevents the aging effects of sunlight, choose one with UV blocker as an ingredient. These will likely be more expensive, but it’s money saved when you compare it to the price of replacing a fence. It’s also worth using a primer on the fence before painting on the first layer of paint or stain. Not only will primer help the paint adhere better to the fence, but it’ll also stop chemicals from the fence bleeding through, which can cause paint to blister. This would eventually reduce the effectiveness of the paint, causing the fence to rot. A good alternative to standard paint is acrylic latex paint. It provides a completely waterproof barrier, and blocks UV radiation from sunlight, which is easily one of the biggest causes of weathering in San Diego. Acrylic latex paint is also flexible, which means it can expand and contract along with the wood during temperature changes. This is something that San Diego residents should be conscious of, considering the temperature can rocket at certain times of the year. So once you’ve found the right kind of paint to suit your needs, the next step is to apply it to the fence. Before starting, clean the fence with a stiff brush to remove any caked on dirt or debris. You want to get the fence as clean as possible before starting because this will allow the paint to stick better. Trim back any plants that are in contact with the fence, or if you don’t want to cut them, at least tie them back so they’re out of the way. Place down dustsheets or tarp if your fence sits on a hard surface, such as asphalt or concrete. This isn’t necessary if your fence is on soil, although you might still want to lay something down. If the fence is particularly dirty, clean with a pressure washer, or a rough brush and water. If your fence isn’t dirty, it might not be necessary to wash it. If you decide to wash your wooden fence, or it’s recently rained, give it 48 hours to dry before painting. This will allow enough moisture to evaporate, which could damage the paint otherwise. At this point, look out for any damaged sections that need repairing or replacing. It’s best to do this now while everything is clean and before you start painting. Next, apply the primer if you’re using one. If not, start with the stain or paint. Working in thin layers, paint the whole fence from end to end. Wait a day or so for the stain to dry before applying another layer. Most manufacturers will recommend several layers, and the more you apply, the better protection you’ll have. Once you’ve finished staining, allow the whole fence to dry before picking up tarps. Reapply stain every couple of years, or more frequently if your area experiences weather changes. Although the weather in San Diego is generally very nice, sun can be as damaging as rain, if not more so. Sun causes the wood to expand and potentially crack, which then lets in moisture when it does rain. It’s important to find a stain with UV protection, and this should be your main objective when preserving your wooden fence in San Diego. If your fence hasn’t been painted in several years, and the wood is very cracked and warped, then repainting might not be enough. Decide whether the fence is still good enough to be worth repainting, or whether simply replacing it would be easier. It might be a more expensive job, but it’ll need to be done at some point. Preparing your wooden fence for painting is one of the most important steps, and shouldn’t be rushed. It’s important to remove as much debris as possible because it’ll stop you from getting a good finish. And considering the whole point of painting the fence is to seal it, you don’t want to do the job only for it to not work. Buy good quality painting supplies, specifically a good brush. Painting on a rough surface (such as a fence) is hard on a paintbrush, and poor quality ones will fall apart in no time at all. You might not want to spend loads on a paintbrush, but one brush that lasts for years is much better than several bad ones that fall apart quickly. This point also extends to the stain you use, for pretty much the same reasons. Protecting a wooden fence from rain and sun is a long and sometimes difficult job, but it needs to be done to keep the fence in good order. 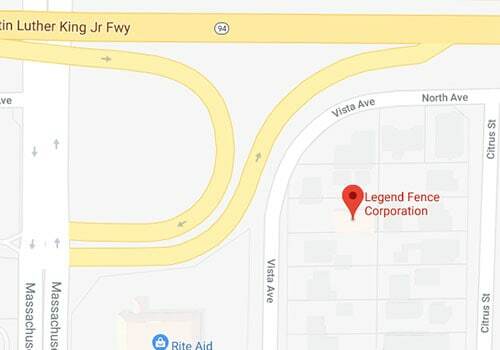 If you find your fence needs repairs, Legend Fence Corp is always on hand to assist you with this. Or if the repairs are too great, our staff are more than happy to discuss replacement, and will provide estimates using our years of experience in the business. Contact us now for more information, or to book your estimate. Copyright 2019 © Legend Fence Corp.